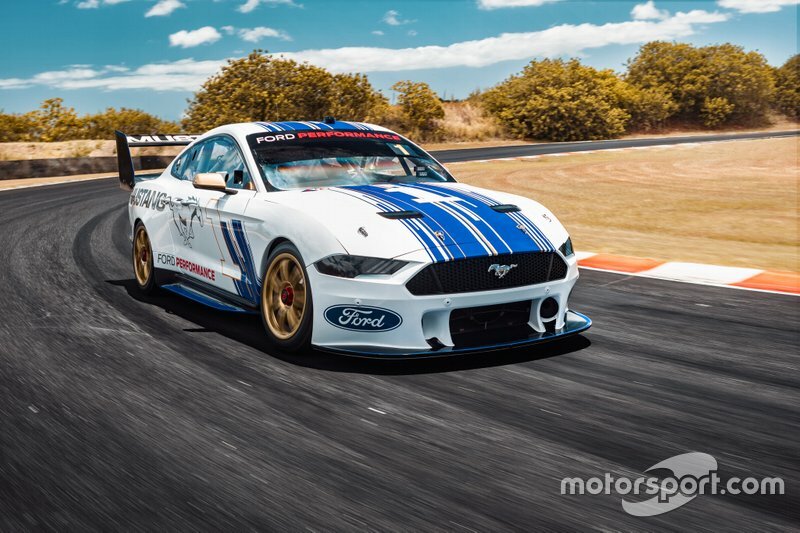 Car manufacturer Ford has designed and built a new Ford Mustang-based racecar for the Supercars racing championship held in Australia. The vehicle will serve as a long-awaited replacement for the old Ford Falcon. The engineering team over at Ford Performance USA jointed their efforts with Australia’s Tickford Racing and DJR Team Penske when working on the project. The track-oriented Ford Mustang may look like its road-going counterpart on the outside, but its chassis and drivetrain are completely different. More specifically, the racecar takes advantage of a space-frame chassis, double-wishbone suspension both in front and in the rear, and a rear transmission. The new Ford Mustang track tool exhibits the same downforce and the aerodynamic drag as its predecessor, the Falcon. It also packs the same 5.0-liter V8 engine, though boosted to produce up to 645 horsepower (481 kilowatts) in the new version. The Supercars racing series currently features Ford, Holden and Nissan vehicles. The new season opens on March 2, 2019.